Delaware’s probate system is somewhat more involved than in other states, with numerous deadlines. If you are the executor of a will in Delaware, or the person who is charged with overseeing that the deceased’s estate is settled according to her last will and testament, consider consulting with or hiring an attorney to assist you. File the original will and a petition for probate with the Register of Wills in the county where the deceased lived. If the signatures on the will are not notarized, the witnesses to the will must appear to take an oath that they watched the testator, or the person making the will, when he signed it. The Register of Wills can provide a form for the petition for probate. It requires the names and addresses of all heirs, including surviving spouse, children, parents and siblings. It also requires a list of any property the testator held in his sole name, as well as approximate values. The Register will give you “short certificates” authorizing you to act on behalf of the estate when you have submitted this paperwork. Prepare and file Inventory Form 600W with the Register of Wills within three months of accepting the short certificates. The form will again ask you to list all assets, including real estate and other items of property that you must take into your own possession for safekeeping. You will now have to confirm the values of all property as of the deceased’s date of death rather than just give estimates, as well as the name, address and relationship of any beneficiary who is inheriting any real estate in the will. Prepare a tax return for any income the testator earned during the last year of her life as well as a federal estate return, if required. 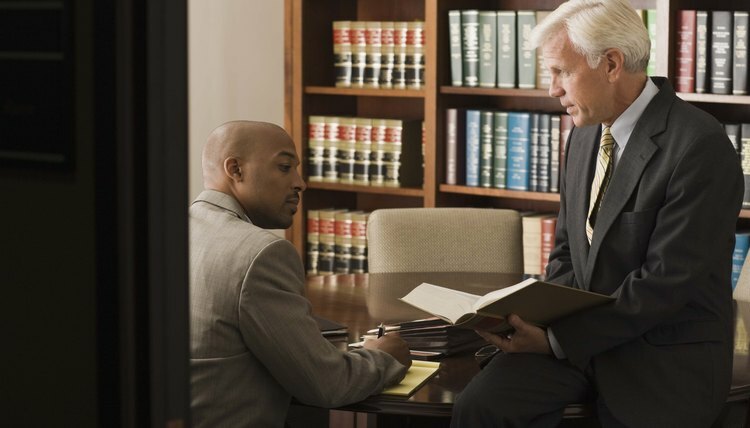 The necessity of a federal return depends on the value of the estate, and you might have to consult with an attorney or an accountant to determine this. Delaware has not levied a state inheritance tax since January 1, 1999, but depending on the testator’s date of death, you might have to file certain forms confirming that no state tax is required. An accountant or attorney can advise you as to whether or not this is necessary. Create an overall accounting of the estate and submit it to the Register of Wills. You have one year to do this from the date you receive your short certificates. The accounting is a detailed form totaling all assets and deducting all court costs, funeral expenses, professional fees and the deceased’s debts that you, as executor, must pay off through the estate before probate can be closed. The resulting balance is the “net personal estate,” and fees payable to the Register of Wills for closing out the estate are based on and deducted from this value. What remains is the “balance remaining due the estate” and this amount is what is available to you to distribute to the beneficiaries in the will. Schedule an appointment with the Register of Wills after you have been notified that your accounting has been audited and approved. When you attend this appointment, you must bring with you all documentation supporting your accounting, such as receipts for all debts and expenses you paid and for all bequests you made to beneficiaries. If all paperwork is in order, the Register of Wills will administer another oath to you, relieving you of your executor duties, and will close probate.